Headstones are a great source of information - here lies my great grandmother Florence in St. Saviours Churchyard, Jersey, Channel Islands. Headstones in graveyards are a great source of information as long as you don’t find these places too spooky. My mother loves grave yards and she has passed this fascination onto me. Wherever I find myself in the world I always take a wander through the local graveyard or cemetery. My son has just started a school which has a huge cemetery right next to it. It’s a lovely old one and the local council have leaflets which support guided walks through the gravestones pointing out the deceased with interesting histories be they happy or sad! I think this is a great idea, and have already booked myself to go to the next one. 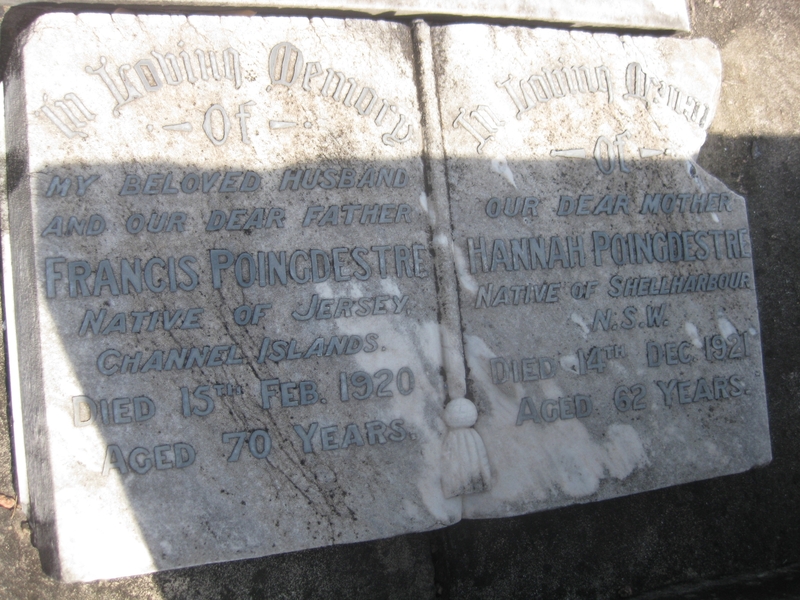 Amazingly enough I came a cross a headstone with a familiar Jersey surname on it: Poingdestre. 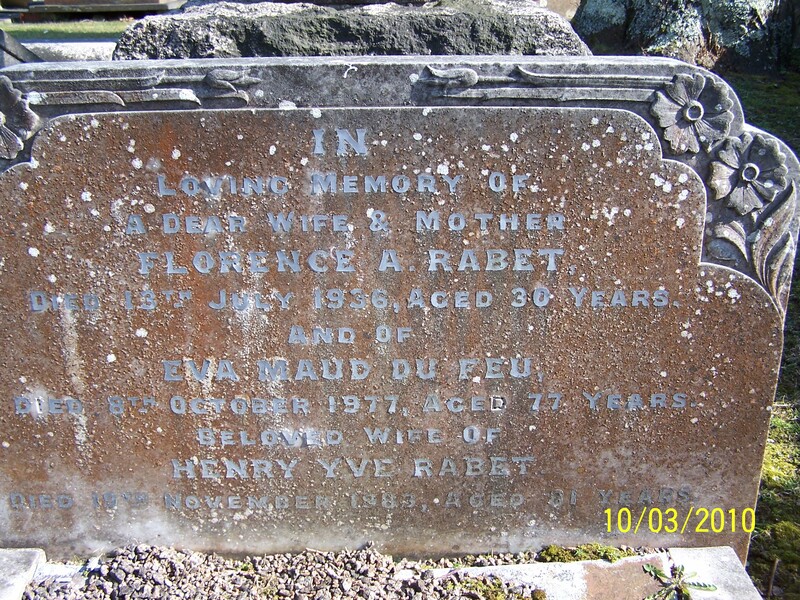 On reading the details on the headstone I find that the person inside did indeed emigrate from Jersey to Australia. How about that! So if you think it might be your ancestor contact me. The Poingdestre Headstone I found in a Sydney cemetery. If you are going to visit a graveyard take your camera to make a record of the information on the headstone and a reminder of the type of headstone used. 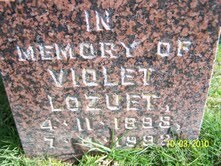 The type of headstone in itself could give you some idea as to the wealth of the person or religion. Also check the graves close by as you may find some more with the same surnames on! Hi Ramona I think this is a great idea and I am waiting for the winter off so that I will have more time to visit more Jersey Graveyards.